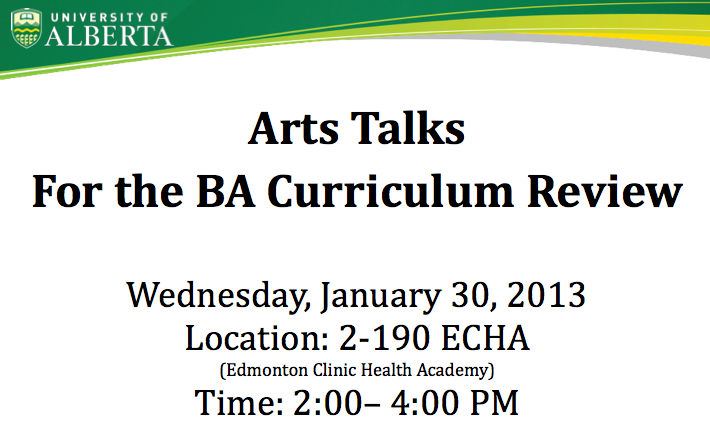 Please, everyone in Arts at the University of Alberta, come out to this talk! 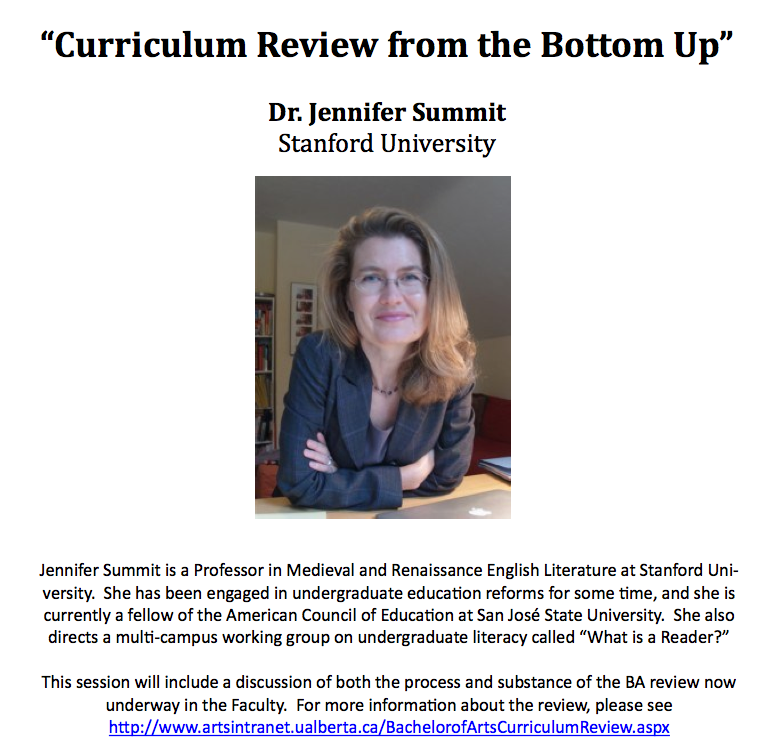 This entry was posted in faculties of arts canada and tagged jennifer summit stanford, university of alberta arts talks, university of alberta faculty of arts curriculum review. Bookmark the permalink.